Until taco day, which feels wildly culturally appropriating and also I could eat Mexican food three or more times per week and be completely fine with it. The flavors plus ability to go super fresh and healthy or….not at all are so appealing, plus avocado+cilantro+lime on everything is the best flavor combination ever. Aaaaaand now I want Mexican for lunch. 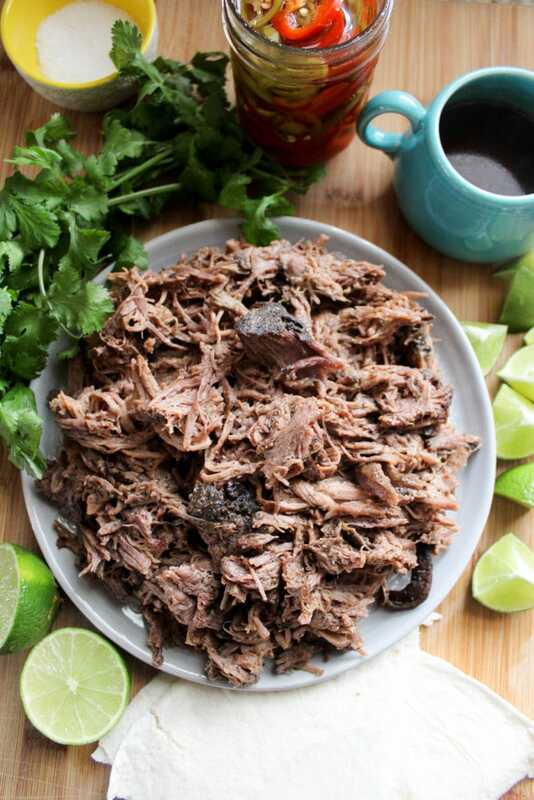 There’s an entire Mexican Food category on this site that will take you far in life, and here are a few of our all-time favorite ideas for this weekend! Make a day of eating Mexican foods, this Saturday deserves it. Red rice to go with everything. Tlapeno – stir the rice right in. Burrito Stuffed Sweet Potatoes – for your health! Sour Cream Lime Guacamole – invented by my friend Heather and SO delicious. 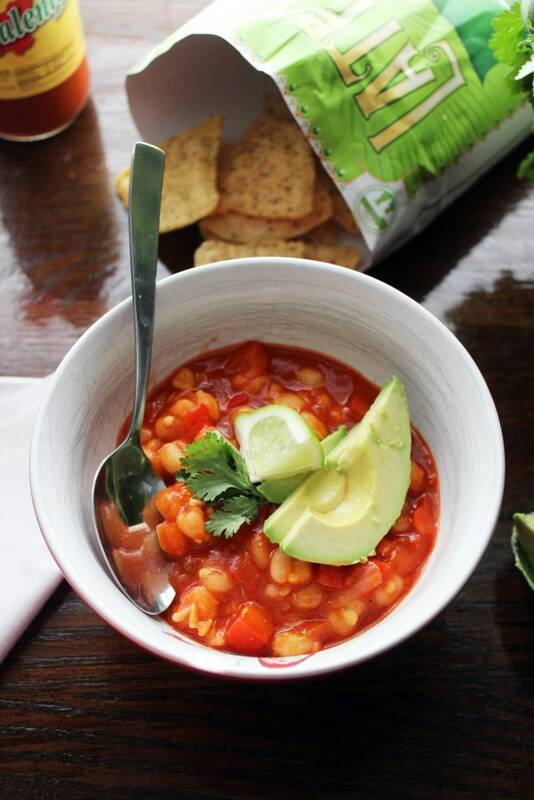 Vegetarian Posole – the texture of the hominy is just the most delicious thing in the world. 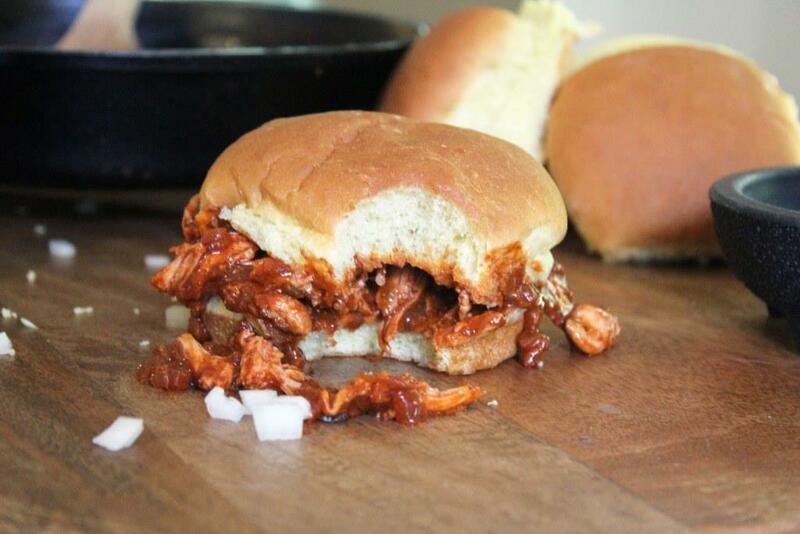 Chicken Enchilada Sloppy Joes. Not authentic. No problem. Jalapeno Ranch – like at Chuy’s! Make a huge batch to drizzle on EVERYTHING. 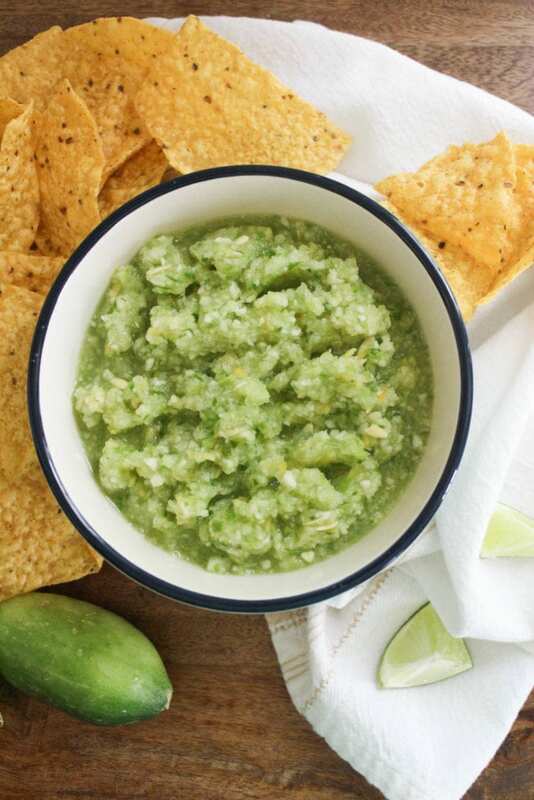 Cucumber Apple Salsa – refreshing and SO delicious. 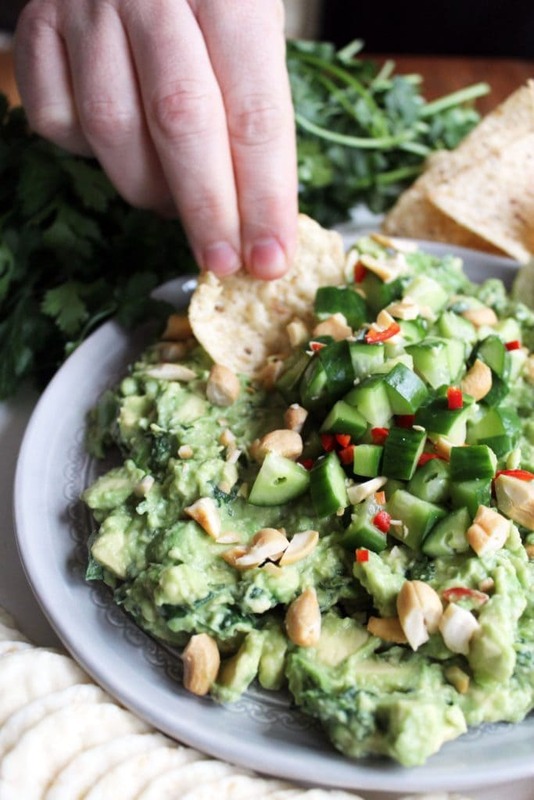 Thai Style Guac – see above re: cilantro and lime. I’m feeling a little bummed nothing on this list is covered in queso tbh.